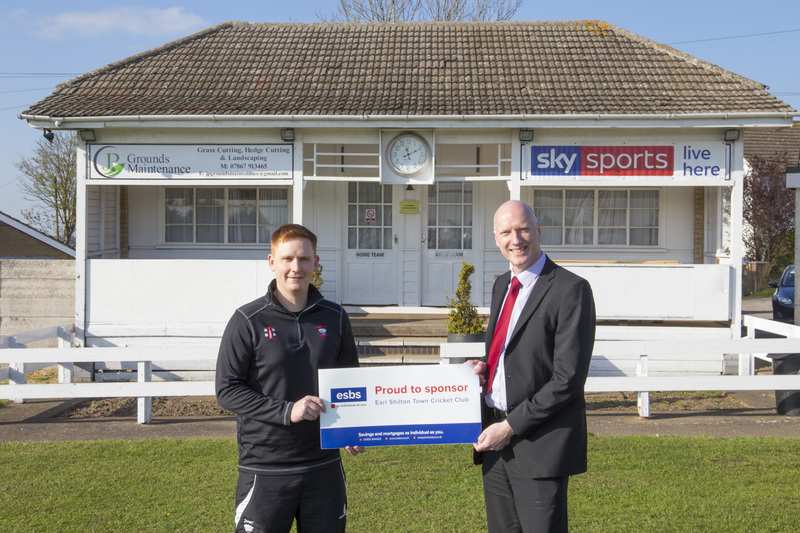 A cricket club that has been an integral part of its community for more than 200 years has renewed its sponsorship deal with esbs. The Society, which has branches in both the Leicestershire town of Earl Shilton and the neighbouring village of Barwell, is one of the main sponsors of Earl Shilton Town Cricket Club. Playing its home matches on Keats Lane, the club supports budding cricketers from the ages of seven to 11 as part of its youth setup, while the senior teams are open to anyone aged over 14 who is keen to compete in the sport. Player and committee member, Wayne Spencer, said “The relationship with esbs is an important recent addition to Earl Shilton Town CC. “It links the club to an established and trusted financial institution which holds a prominent place in the local community. “My involvement in cricket started at an early age when first watching my dad play. I eventually went on to get a game myself, and from there I fell in love with the sport. The sponsorship deal will help to cover the cost of much-needed equipment, ongoing training, as well as the promotion of the club’s youth outreach. Wayne continues: “We are actively trying to recruit players to increase our membership and ensure that the game of cricket remains a strong presence in Earl Shilton. “It’s not only players that we are hoping to entice – scorers, helpers and umpires are also welcome, not to mention trainers and managers, who we hope can help plug the gap between our youth and senior teams. “In fact, anyone who is interested in cricket has a place at Earl Shilton Town CC. We are a friendly, family-orientated club, and as the number of people involved increases, we will be able to offer more, such as specific teams for girls and women who want to play. Paul Tilley, Chief Executive of esbs, said: “We are delighted to be sponsoring Earl Shilton Town CC. “Sport is a fantastic way for like-minded people in the community to come together and enjoy their shared interest, and Earl Shilton is fortunate to have such a long-standing and well-respected cricket club.